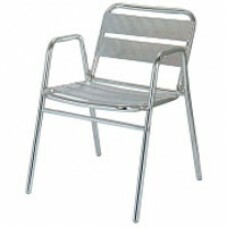 This aluminium chair is just as comfortable indoors as it is out. 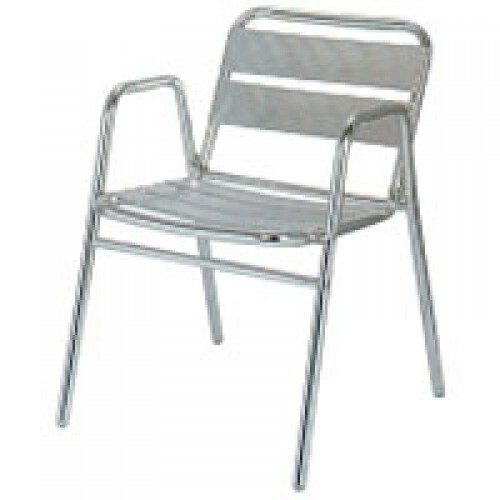 Square-back with arched arms for comfort. Chair back and the seat is slatted for interest. When the party's over, just stack the chairs in an out of the way corner. Manufactured from 25mm tube, rated at 1.8mm thickness. 530x570x720mm.